With so many health-full properties, elderberry syrup is a great addition to one’s daily wellness routine. 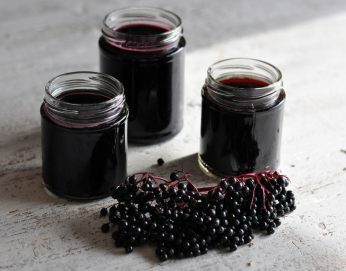 Join us for a morning of learning how to make elderberry syrup. Participants will go home with a recipe, 8 ounces of elderberry syrup, and the knowledge of how and why to make/utilize elderberry syrup. This class will also address tips about growing, harvesting, and using fresh elderberries. Crabtree’s “Spring Plant Sale & and Festival” is the first weekend of April, so this workshop is optimally timed for participants to buy elderberries plants at the sale and then learn all about how to care for them.